There are days when all I want to do is eat meat. 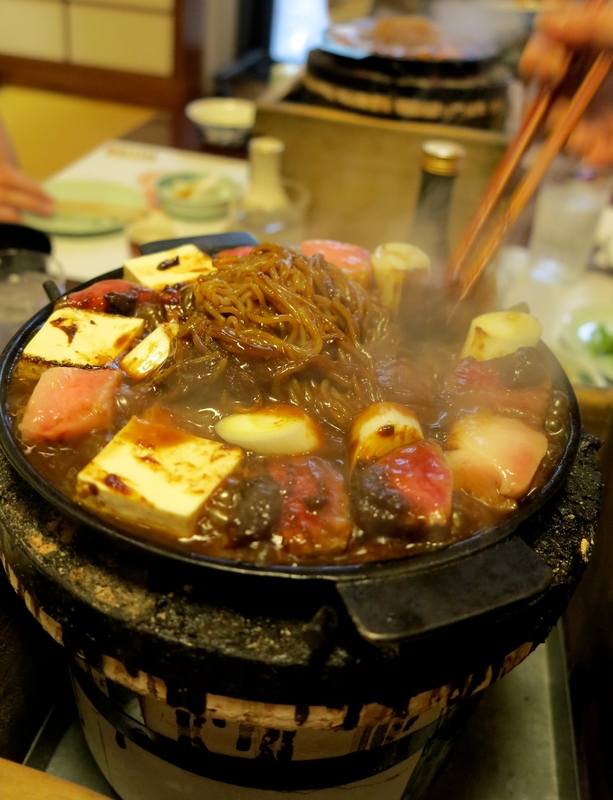 In Japan, I mostly find myself craving for yakiniku on meat days but sometimes when I am simultaneously craving egg I would go for sukiyaki. 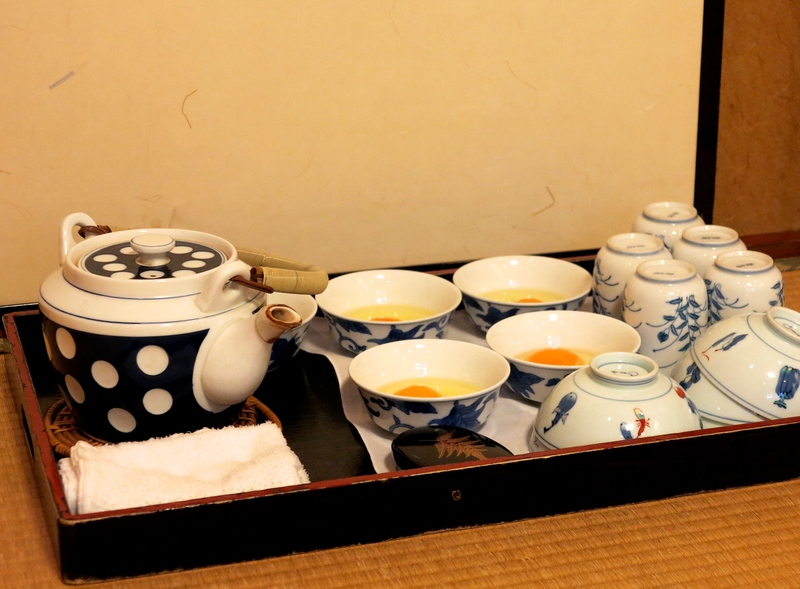 I can never resist a TKG (tamago-kake-gohan, or egg on rice) after a beefy meal at i.e. 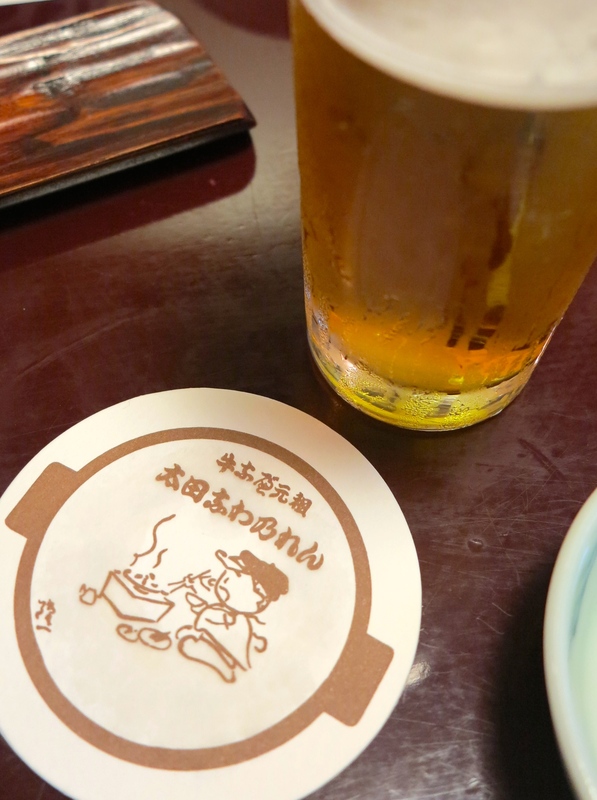 Imahan! 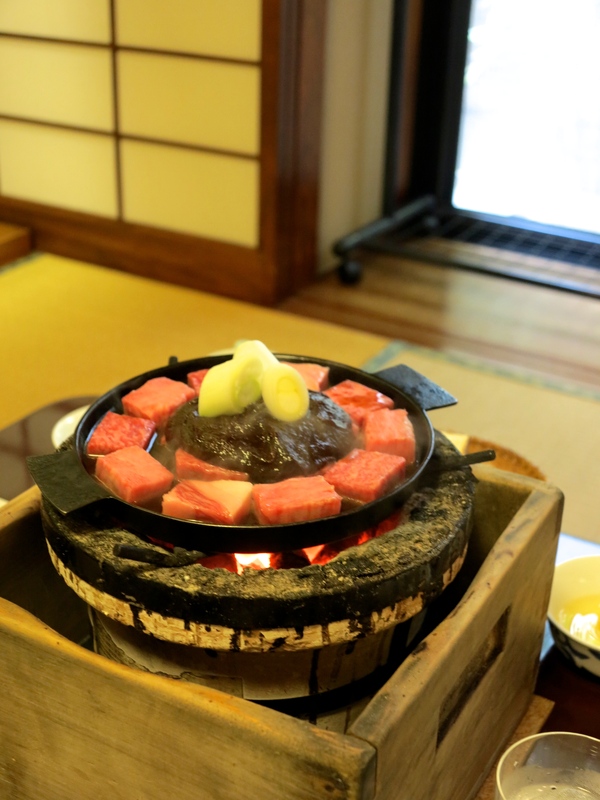 After a busy week at work, I felt the need to treat myself a little… so today I decided to get out of the city for a particularly special sukiyaki in Hinodecho (not far from Yokohama). 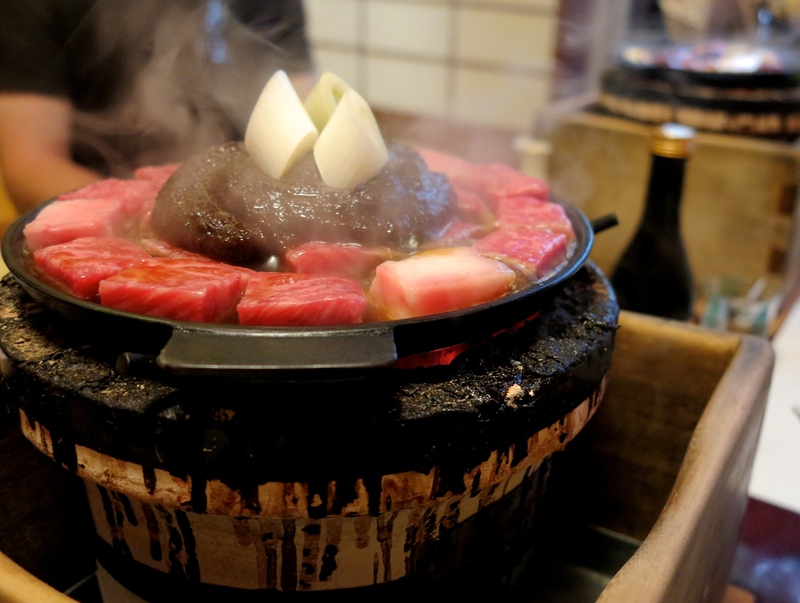 Now if you are wondering why this sukiyaki restaurant is special, it is not because they use particularly good beef, nor is it particularly expensive, nor is it visited by a lengthy list of V.I.P.s. 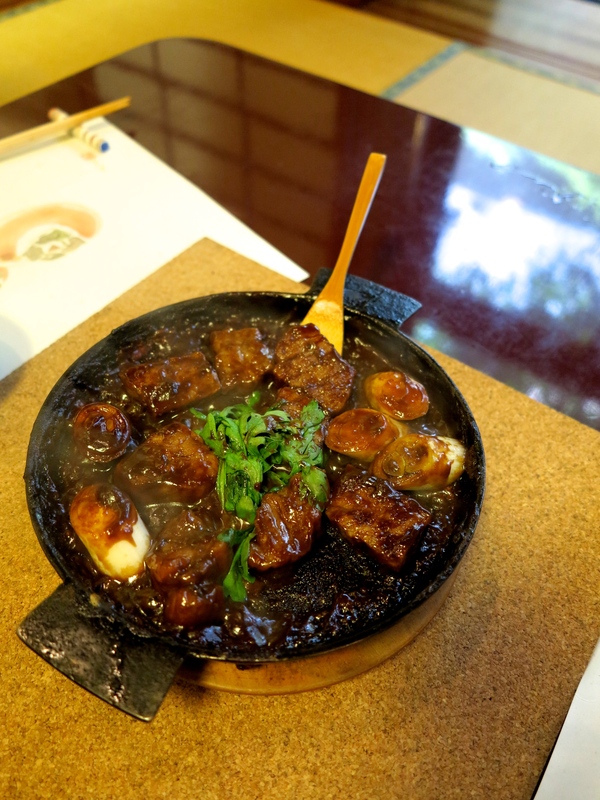 It is, however, supposedly where the dish “sukiyaki” originated from. 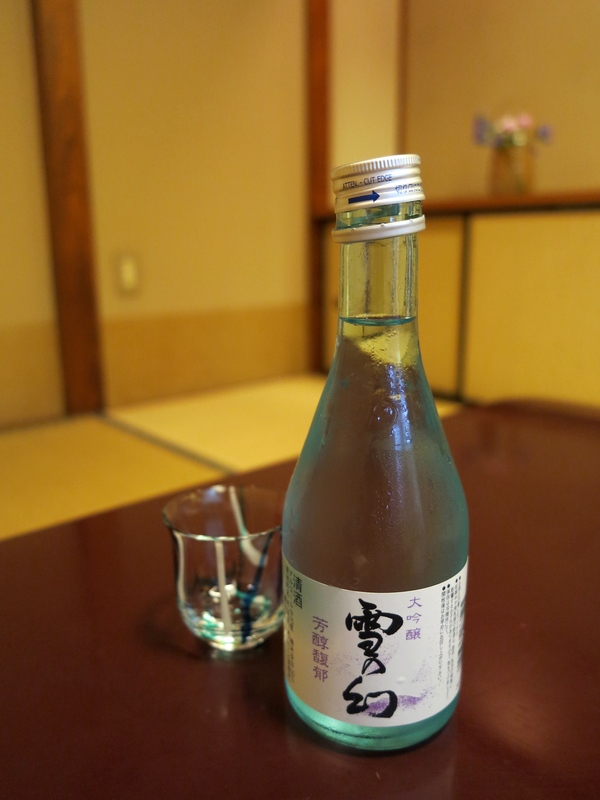 Ohtanawanoren was established in 1868, the first year of the Meiji period when meat eating was still not a common practice in Japan. 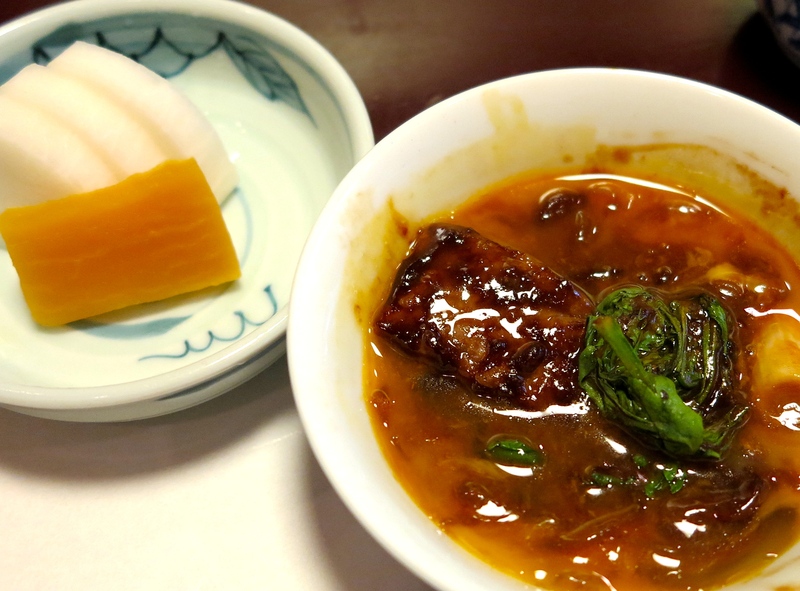 At that time, the owner of Ohtanawanoren came up with using miso to hide the taste of meat which was in fact unpleasant to common people at the time. 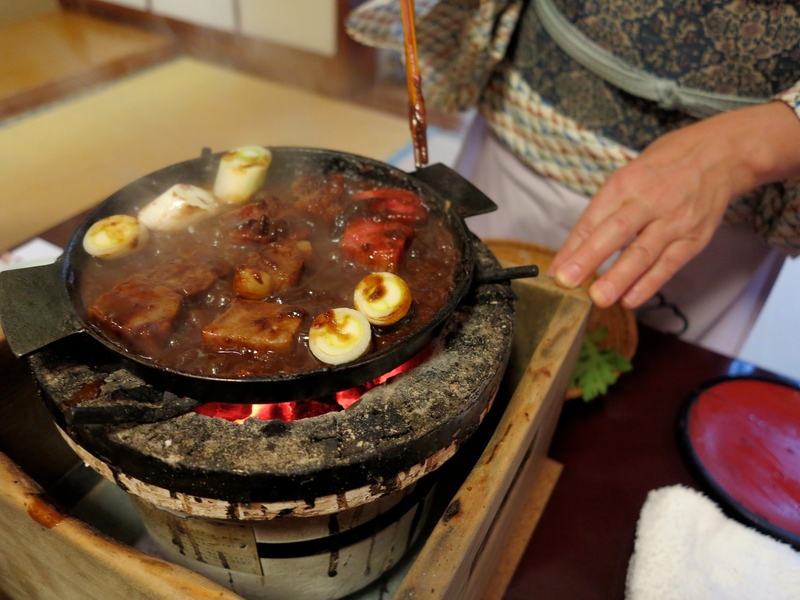 As you will see later, the “original” form of sukiyaki was known as “gyu-nabe” (beef pot) , and was completely different from how sukiyaki is generally prepared today. 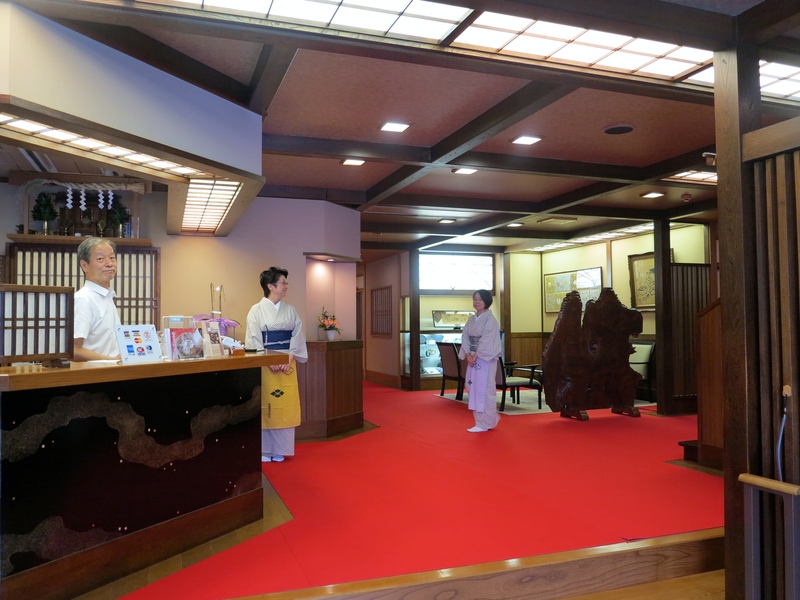 Before coming here I did not actually expect the interior of the restaurant to resemble a high-end kaiseki ryotei. Was quite happy that there were individual rooms for us to play stupid games that I would rather not talk about on here. 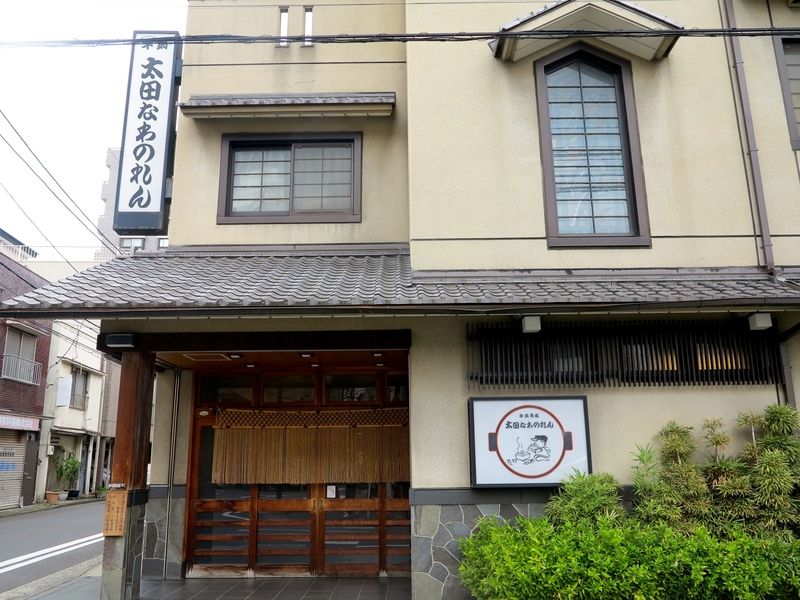 Ohtanawanoren opens for lunch only on weekends (and for dinner it is open everyday except monday). 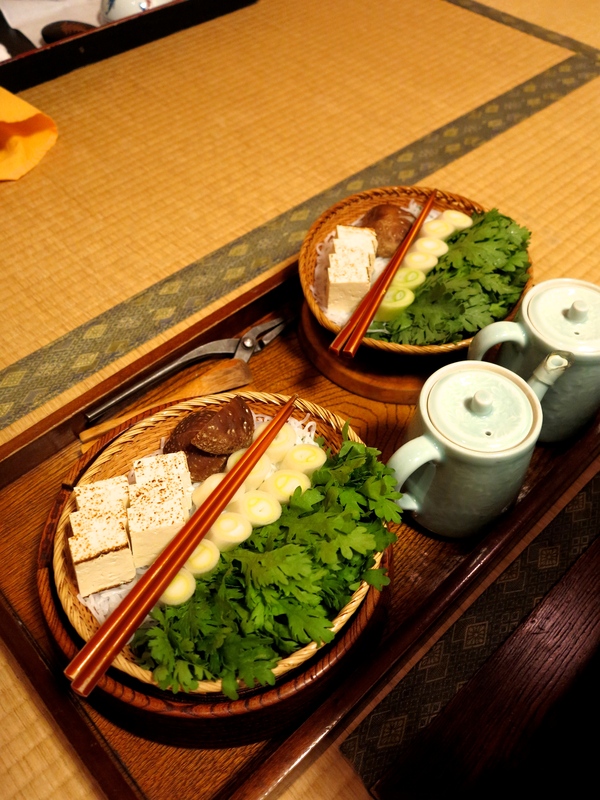 There is a special lunch course that also includes their signature butsukirigyu-nabe at a slightly cheaper price. 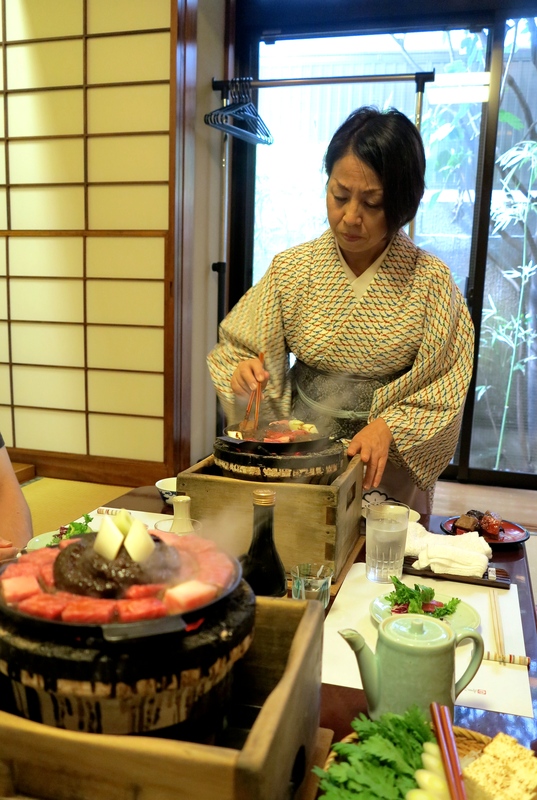 Our group of 5 ordered one of them today and had a-la-carte (with higher quality, shimofuri beef from yamagata) for the rest of the meal. 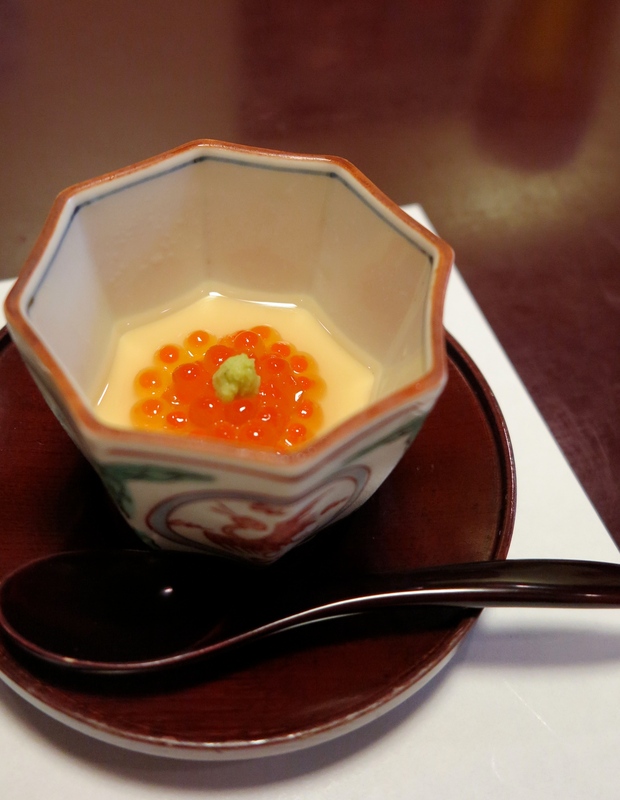 The lunch course first came with a small, cold chawanmushi (steamed egg) with ikura. 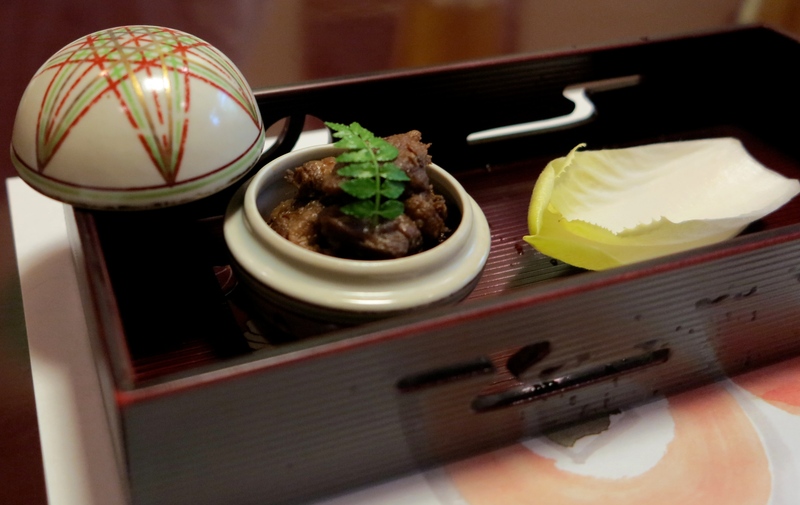 And then this little beef & lettuce appetizer. 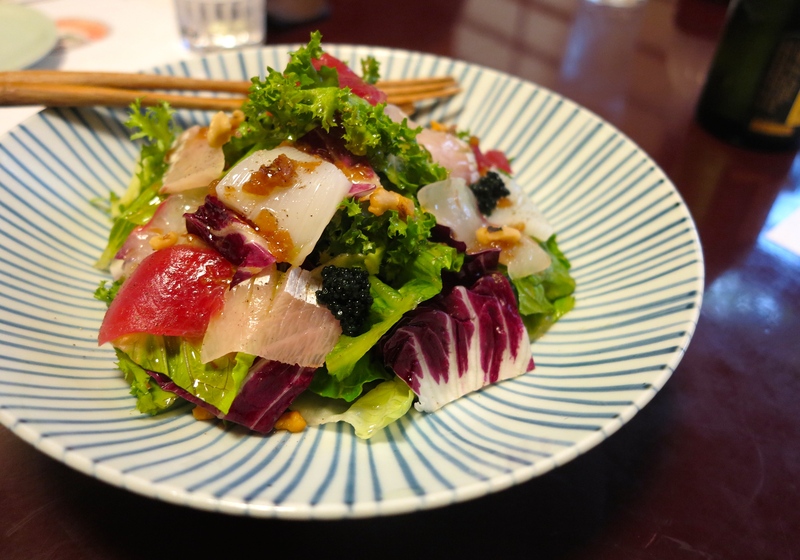 Also a sashimi salad with varied fish & black caviar from the a-la-carte menu for starters. 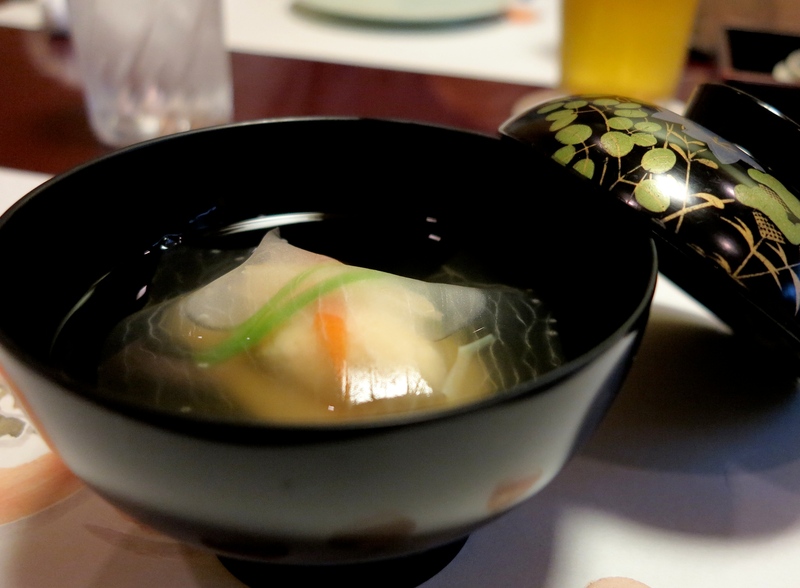 A clear soup with shrimp paste and mochi under a blanket of sliced daikon also came with the lunch course. This was pretty standard. Then ta-da! 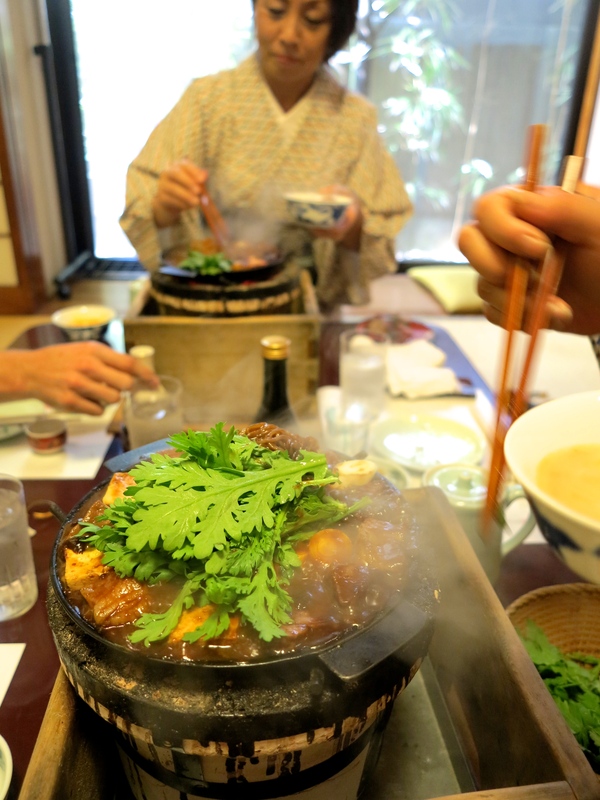 Here’s the shimofuri yamagata-gyu nabe. 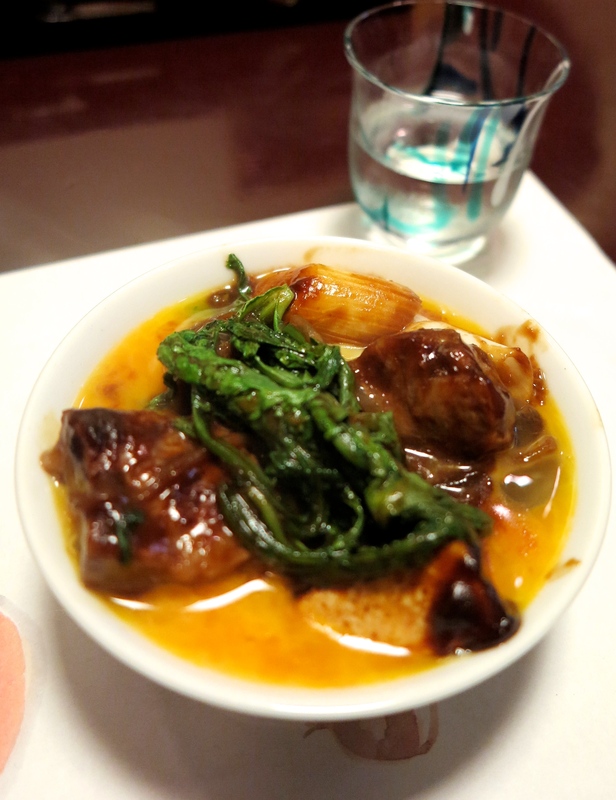 And this is the less fatty butsukiri-gyu-nabe with beef from Iwate. 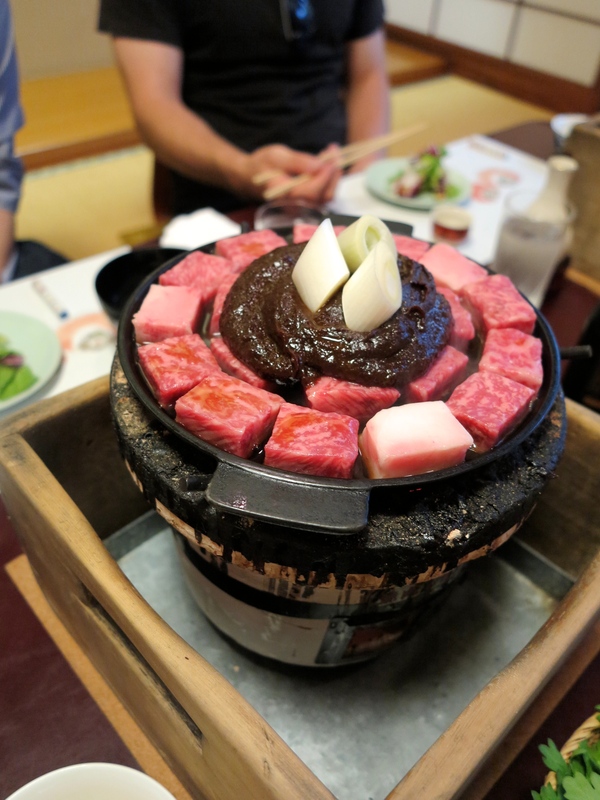 Despite being the slightly cheaper option, I personally prefer this after a couple pieces because too much overly fat wagyu can get sickening very fast. So having a mix today was indeed, perfect! Glass noodles were also put in to soak up all the miso goodness. 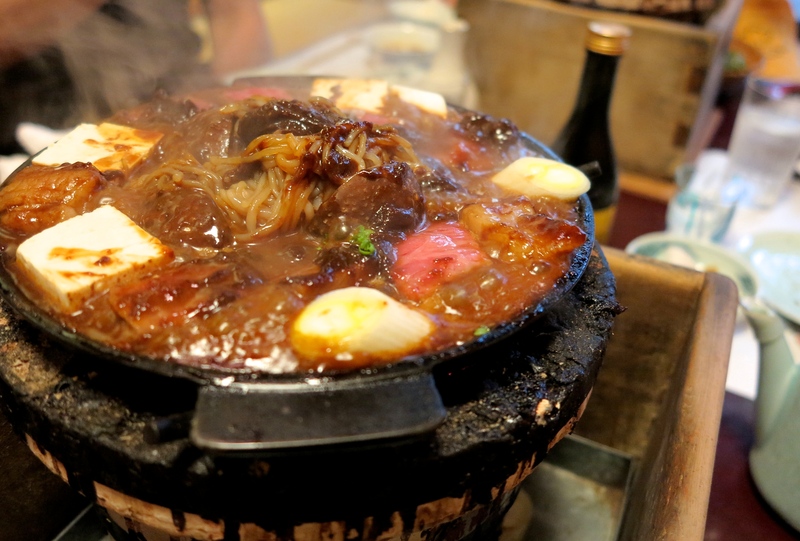 And topped with some shungiku (chrysanthemum leaves) … one signature element of gyu-nabe that is still prevalent in modern sukiyaki. Finally, served in a bowl of raw egg. Absolutely addictive with rice. After a while the beef was transferred onto another pan to avoid being overcooked. 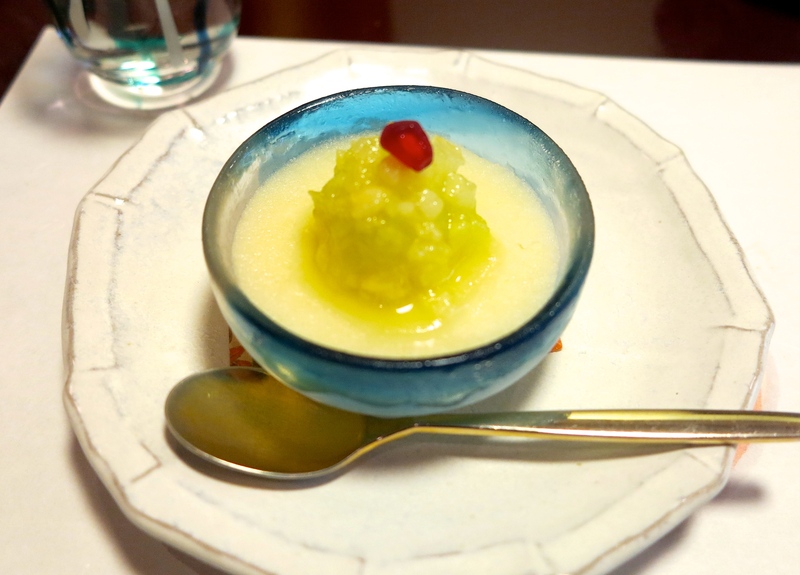 Aaand dessert was melon sorbet. 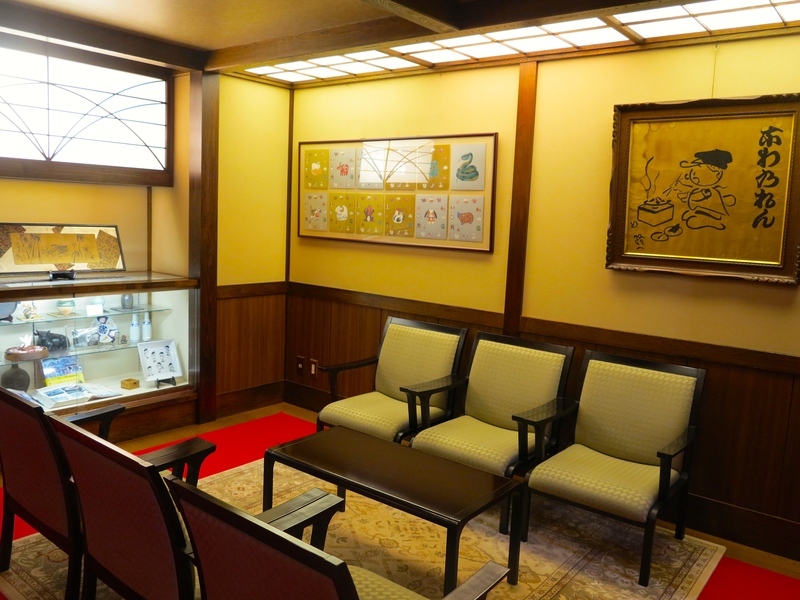 And here’s a small exhibition of their fuku-chan mascot goods.